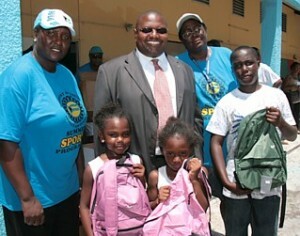 Minister of Youth, Sports and Culture Charles Maynard poses with stakeholders and participants in the Ministry’s Summer Sports Programme, during the presentation of school supplies to a number of children, on August 6, 2010. Pictured, from left, (in front row), are six-year-old Megan Bethel, five-year-old R’naya Mackey and 12-year-old Dakota Hinsey. 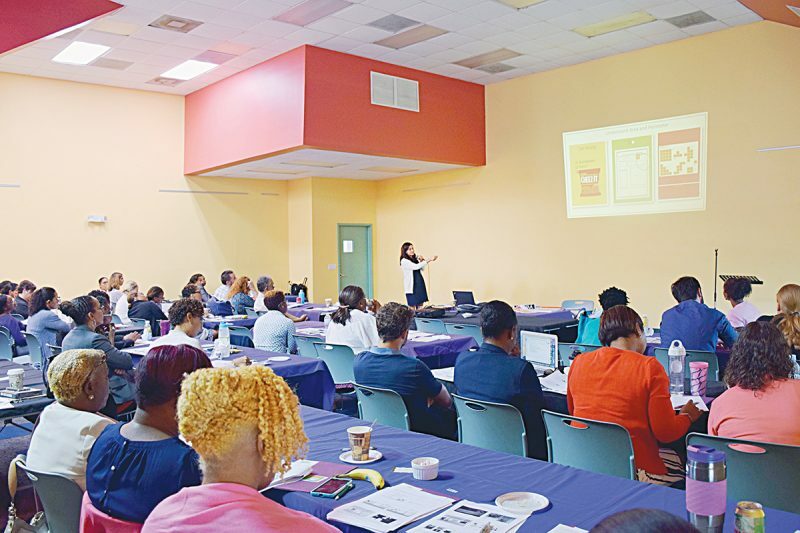 In the back row (from left) are Co-ordinator for the Summer Sports Programme Mrs. Oria Wood-Knowles, Minister Maynard and Senior Instructor Lisa Mortimer.